The buzzing of mosquitos is a harbinger of summer. Long thought to harbor dangerous diseases, these pests are now being used in biomedical research to treat a host of deadly illnesses. In 2010, a group of Japanese researchers at Jichi Medical University attached SP15, a vaccine against Leishmaniasis, to the promoters of the mosquito genome that turn off saliva-producing genes. When mice were bitten by mosquitoes carrying the vaccine, the mosquito saliva seeped into the mice’s bloodstream, and the mice developed antibodies against SP15. Human trials have also shown promise. In 2013, the first human volunteers at the Center for Infectious Disease Research in Seattle underwent the first mosquito vaccine trial. 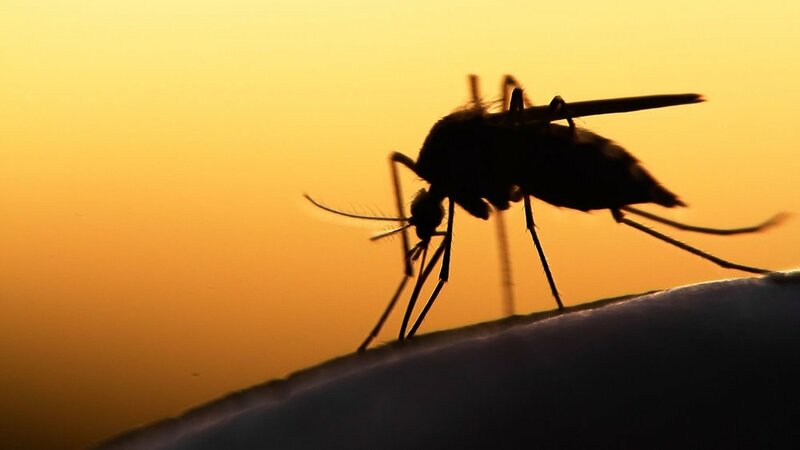 The volunteers were bitten by mosquitoes carrying a malaria parasite that was genetically altered through precise gene alterations. Amazingly, the volunteers reported no infection. Flying vaccinations are an innovative way to distribute vaccines on a large-scale. The high rate of diseases, such as malaria, coupled with poor infrastructural problems continues to affect developing nations. In 2015, the World Health Organization reported approximately 212 million cases and 429,000 deaths from malaria, a disease spread through mosquito vectors, in Africa. A major contributing factor to these alarming statistics include a lack of public transportation to vaccination clinics. For instance, in Zambezia, a province of Mozambique, due to a lack of public transportation (minibuses, railroads, etc.) traveling to clinics via bicycle or walking takes an average of three hours. Thus, flying vaccinations seem like a promising solution to address critical transportation problems. However, the implementation of mosquito vaccines raises several ethical concerns that must be addressed before these insects can take flight. Although these experiments have shown impressive results, they have been largely proof-of-principle tests that would not be feasible if they were actually implemented. Pragmatically, these experiments ignore dosage concerns and favor a one-size-fits all approach; dosages vary greatly depending on weight, age, previous disease history, etc. Children are particularly at risk for overdose due to smaller body size and differently developed immune systems. Thus, dosage adjustment for children still needs to be tested out empirically and rigorously. Additionally, Science Magazine writer Martin Enserink states that the rate at which these flying mosquitoes bite people can vary. A person could be bitten multiple times with too much of vaccine and another person could receive no vaccine at all. Thus, when a person receives the vaccine, it is largely dependent on the number of mosquitoes present in a specific area. Dispersing the flying mosquito vaccinations raises a host of serious ethical concerns regarding informed consent that should be maintained in all medical proceedings. Consent requires clear communication with the medical provider, but an individual bitten by the flying vaccination has no agency over whether or not he or she receives the vaccination. A person bitten by the flying vaccination cannot communicate his or her needs to the doctor, as there is no doctor who is administering these vaccines directly. Instead, the mosquito indiscriminately bites, regardless of the mental state, previous medical history, or competence of the individual. Thus, the individual loses his or her ethical right to control what happens to his or her body. Treating diseases through a mosquito vector does not necessarily require human consent. For example, modified insect vectors are being developed to eradicate the Zika virus, a disease transmitted through mosquito vectors that can cause serious birth defects, including microcephaly (small brain size and head). These genetically modified (GM) insects are selectively bred to produce offspring that die prematurely. Eliminating the vector (the mosquitos) is an alternative to the traditional method of using vaccination to protect people from dangerous viruses. Sending out these GM mosquitoes into the real world has generated divisive ethical dilemmas. As of October 26, 2016, 180 Zika cases have been reported in Florida. A pharmaceutical company called Oxitec hopes to send its genetically modified mosquitoes to Key Haven, Florida for a field test. Confirmation for a field trial is currently being negotiated among citizens in Key Haven. Some citizens have argued that there simply is not enough data collected on the effects on humans. They also bolster their claims by postulating on the potentially deleterious effects the mosquitoes would have on the environment and other species. Other citizens want to release the GM mosquitoes, which they see as great biotech advances which cannot be deterred by human fear. There has been a significant divide between the scientific research being conducted and the successful implementation of the research in the real world. Generally, scientists in academia are mostly concerned with proving that an experiment works, oftentimes in animal models. While this research can be productive in generating new and interesting data that furthers the scientific pool of knowledge, scientists must also consider how their research would directly affect the public. Scientists need be careful not to prioritize expanding the scope of the investigation over the moral considerations of the study. Instead of focusing on using mosquitoes as vectors for disease immunity, perhaps the best way to distribute vaccinations is through more ethical means. Social mobilization through education of where one can receive free vaccines can promote public health in developing countries. Better ways to package and store vaccines can be developed so they can shipped effectively to developing countries. Creating cheaper and safer vaccines to distribute through local village doctors should continue to be developed, because biotech companies have yet to release an effective Zika or malaria vaccine for clinical trials. And maybe, the most efficient and feasible solution does not have to involve cutting-edge biotech mosquitoes after all.